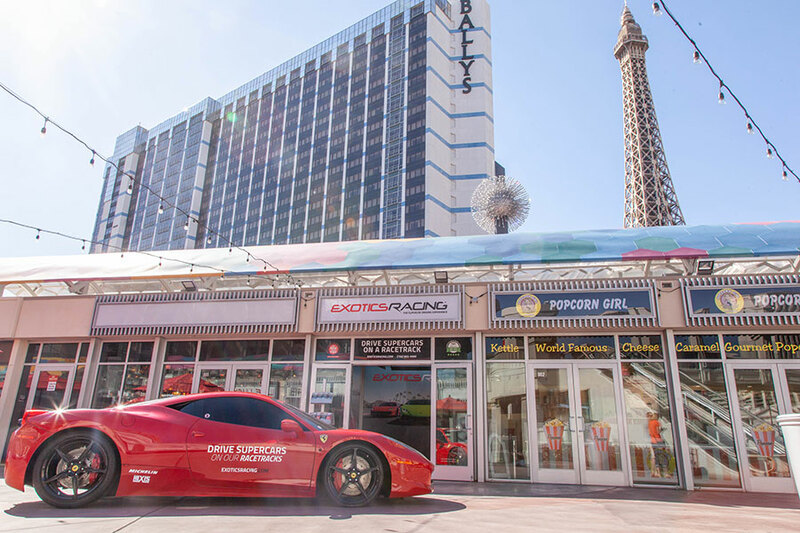 of Exotics Racing located at the Grand Bazaar Shops on the Las Vegas Strip, right next to Bally’s and Paris Hotel and Casino, and right across from the infamous Bellagio fountains! to assist with your exotic driving experience or merchandise purchases! Visit us any day of the week: 11am – 8pm. a day or night on the town at the beautiful Grand Bazaar Shops located on the Las Vegas Strip. 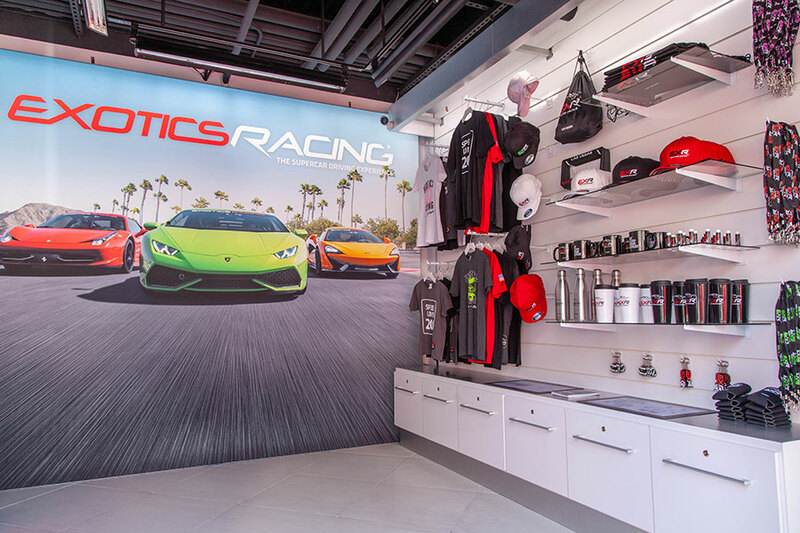 Don’t forget to stop by your favorite store, Exotics Racing Las Vegas! Conveniently located on the Las Vegas Strip, right next to Bally’s and Paris Hotel and Casino, and right across from the infamous Bellagio fountains! 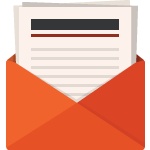 Hosts are available daily to provide information on our operations, answer any questions you may have, and assist with booking an unforgettable supercar driving experience. We have unique Exotics Racing merchandise available for purchase for all our guests and visitors exploring the Las Vegas Strip. 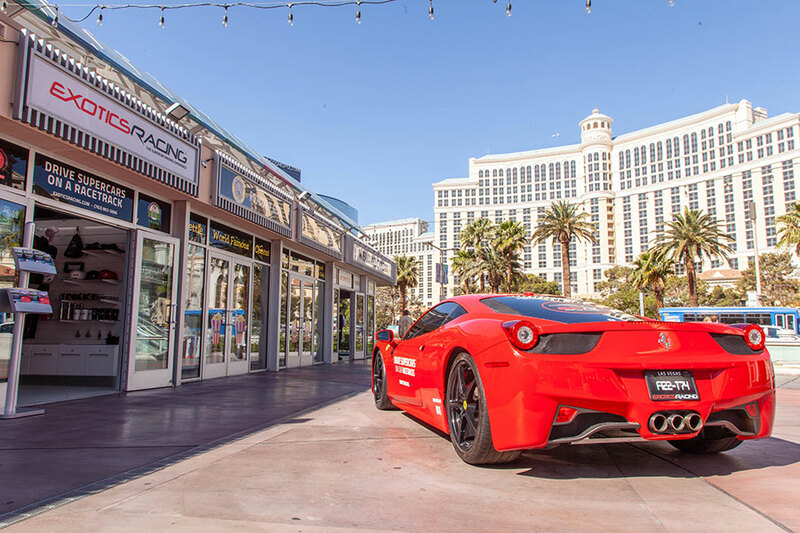 The beautiful Ferrari 458 Italia is positioned right in front of our store at the Grand Bazaar shops, on display for all of Las Vegas to see. Don’t waste any more time, come visit us today! Open 7 days a week, our helpful staff are available to assist you with answering questions and making your reservation for an exciting driving experience at Exotics Racing! With immediate access to track schedules and availability. Need to book a last-minute reservation or purchase a once in a lifetime gift for a family member or friend? 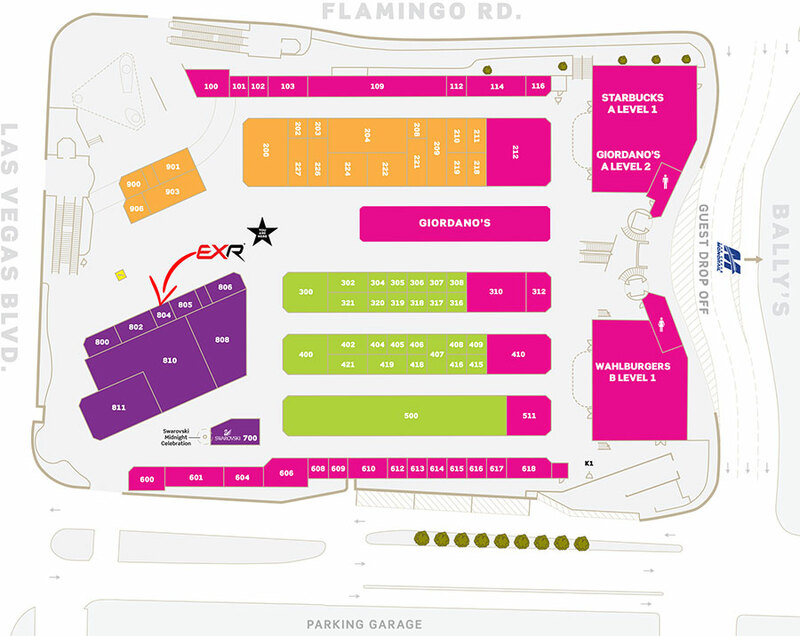 How about pick-up exclusive merchandise only found at Exotics Racing Las Vegas? You can stop by our store located at the Grand Bazaar Shops on the Las Vegas Strip for assistance with any one of these requests, plus more! The store is conveniently located at the front of the Grand Bazaar Shops, right next to Bally’s and Paris Hotel and Casino, and right across from the infamous Bellagio fountains. At the corner of Las Vegas Boulevard and Flamingo Road.